Regardless which aspect of HR you look at, there are many technologies available to help improve productivity or streamline HR processes. From general monitoring and reporting software, to AI-assisted job posting and even Virtual Reality training and recruitment platforms, the world of HR technology is advancing at a rapid pace. Despite the wide range of HR technologies available, many HR teams lag far behind in updating their HR processes, while those that do stay up-to-date are likely to have an edge over their contemporaries. The question is what should you be using? To simplify things we have compiled a list of the ten of the most exciting HR technologies on the market. Textio is a startup that will help you get the most out of your job postings. Using an AI-powered text platform, Textio analyses your text against words, phrases, and measures that data with thousands of similar documents online. It then provides you with analytics and feedback to help you tweak your job posts to maximize their impact. Future products by Textio will likely focus on areas such as emailing and resume writing. Reload allows you to outsource the recruitment process by providing a platform for businesses and recruitment professionals to interact. Reload allows businesses looking to hire new talent to quickly and cheaply connect with experienced recruiters. This process saves money by eliminating the need to work with a recruitment agency. Simply post the details of the vacant position and your job posting will be searchable for recruiters experienced in that particular area. Cyfin is advanced monitoring and reporting software that gives you detailed analytics about employee web-use to improve security and productivity. Cyfin analyzes your workforce’s web usage in terms of site content, visit acceptability, identity (username or IP address) and download stats. Cyfin can also identify instances of online misuse or abuse and can be used across all types and sizes of network environments. JobDiva is a web-based applicant acquisition and management tool. It provides a range of services including applicant tracking, resume harvesting, synchronization with all major job boards and robust financial tools. The “Resume Search for Skills by Years of Experience” feature is particularly impressive as it eliminates the need for recruiters to manually review piles of resumes. JobDiva can be operational within days and is suitable for recruitment agencies of any size. Kaleo Software integrates with your company’s email to create a dynamic repository of employee generated content. Kaleo allows your employees to create content, insights and information that can be accessed by anyone in your network. The information posted is organised into questions and answers, creating an expanding FAQ specifically tailored to your business and the needs of your employees. The information created using Kaleo can be accessed wherever and whenever it is needed. Psych Press assessment-based eRecruitment is the world’s only eRecruitment platform that uses predictive analytics to provide recruitment metrics through the whole selection process. The recruiting manager can access all of these metrics on one dashboard and have candidates stack-ranked by competencies. The selection process uses psychometric testing and online interviewing to quickly and accurately show which candidates are best suited to the position in real time. Candidates are treated to a quicker and more pleasing recruitment process because the whole recruitment process can be completed online. This can benefit candidates that are already working full time or live or work remotely. Litmos by Callidus Cloud is an award winning LMS that makes training employees, customers and channel partners simple. Litmos is focuses on the corporate and mid-market enterprise but is also suitable for small and mid-sized businesses. Progress and performance can be tracked on an individual basis or in groups and teams. Litmos supports a variety of rich media such as flash and PowerPoint and it includes a HTML editor, assessment editor and survey editor for module building within Litmos. Litmos currently has over 3,000,000 users worldwide across a number of sectors. Workable is applicant tracking and recruitment software that allows you to oversee all aspects of the recruitment process remotely. Workable allows you to post jobs to all major job boards simultaneously, manage candidate resumes and set up branded career pages using a simple platform. Workable automatically interfaces with your company Facebook page to increase your audience. Workable also provides a customizable job application form so you can specifically tailor your application forms to suit the needs of your positions. Indeed is the number one job hunting site on the globe. Indeed aggregates job listings from thousands of websites like company career pages, job boards and staffing firms. More people find work using indeed than any other resource. Glassdoor is catching up to LinkedIn as the premium site for job posting and recruitment. ‘Glassdoor for Employers’ offers employer branding, recruitment and advertising solutions. Glassdoor also allows you to browse millions of job postings, view employee salaries and read reviews written by employees of the company you are researching. VR Companies like Sony, Samsung and Microsoft are bringing headset technology to the mainstream in 2016. Although VR technologies are not currently being used in HR there are many exciting possible applications for areas like training, screening and performance management. 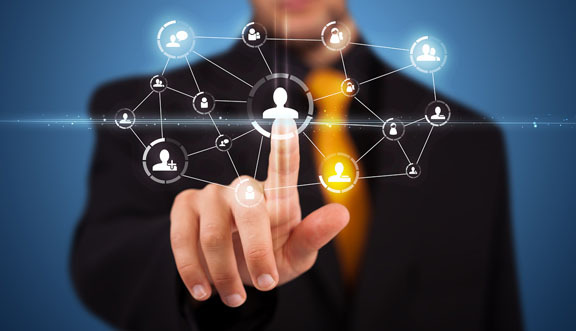 As these technologies become more common their use in HR will become commonplace. Take a look at Microsoft’s HoloLens technology, if you like tech you’ll be blown away by the possibilities! Thanks to open source app development it’s only a matter of time before these technologies change HR completely. You never know when the next game-changing technology or resource will emerge so staying up to date with what is out there is worthwhile. Remember, it’s important that you only adopt technologies that will actually benefit you, ask yourself: am I using technology or is technology using me?